He’s the man, the myth, the legend – he’s the one and only, Kenny Ortega. The prolific Kenny Ortega truly needs no form of introduction. He is an icon in the entertainment industry and one of the most respected and admired directors in the biz. The stupendous Kenny Ortega is the mastermind behind some of the most renowned projects. He directed films including the highly-acclaimed and fan-favorite High School Musical trilogy, the Descendants movies, Hocus Pocus and many others. He also choreographed legendary films including Dirty Dancing, Pretty in Pink, Ferris Bueller’s Day Off and many more. It’s clear to see that the consummate director / choreographer has made the most tremendous impact in the lives of so many. If it weren’t for the extraordinary Kenny Ortega, we wouldn’t have some of the most recognized and striking dance moves and memorable movies. Kenny Ortega is also known for directing the concert film, Michael Jackson’s This Is It and he directed tours for some of the most phenomenal musicians including Michael Jackson, Cher and Gloria Estefan, to name a few. Kenny Ortega has the eye for brilliance and he brings out some of the most breathtakingly beautiful and awe-inspiring projects you will ever see. The remarkable Kenny Ortega continues to create masterpiece after masterpiece. Kenny Ortega’s talent is unparalleled and his achievements truly cannot be beat. We owe it all to Kenny Ortega for changing the lives of many and bringing so much joy to everyone through all of his outstanding projects. His kind heart and his warm and charming personality are just some of the many things that people love about him. He puts so much passion into all of his projects. People can attest that Kenny Ortega makes everyone he works with feel so special and he allows them to see their potential and continue to build upon their craft. Kenny Ortega is truly a genius who has made an everlasting mark in the entertainment world and in the lives of all of his fans and colleagues. 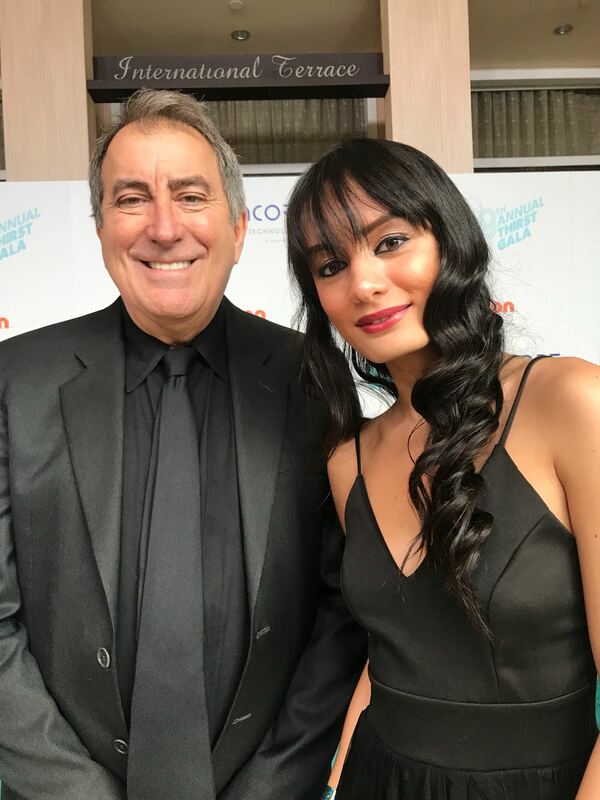 I, Alexisjoyvipaccess had a wonderful time covering the 9th Annual Thirst Gala and had the greatest honor of interviewing the sensational Kenny Ortega at the event. Kenny Ortega talked exclusively with Alexisjoyvipaccess all about what he is looking forward to the most for fans to see in Descendants 3, what advice he would give to fans on how they can get involved with amazing organizations like the Thirst Project and so much more only in our VIPAccessEXCLUSIVE interview. Kenny Ortega even revealed what he would like to see happen if there was a High School Musical 4 created – hear what he had to say in our VIPAccessEXCLUSIVE interview below. Thanks for the stellar interview, Kenny Ortega! Check out my VIPAccessEXCLUSIVE interview with the magnificent and exceptional Kenny Ortega at the 9th Annual Thirst Gala below! Previous VIPAccessEXCLUSIVE: Ronni Hawk Interview With Alexisjoyvipaccess At The 9th Annual Thirst Gala! Next VIPAccessEXCLUSIVE: Karan Brar Interview With Alexisjoyvipaccess At The 9th Annual Thirst Gala!